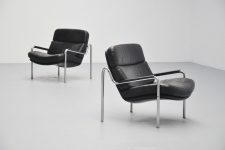 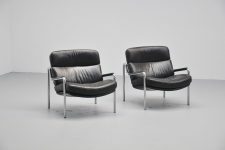 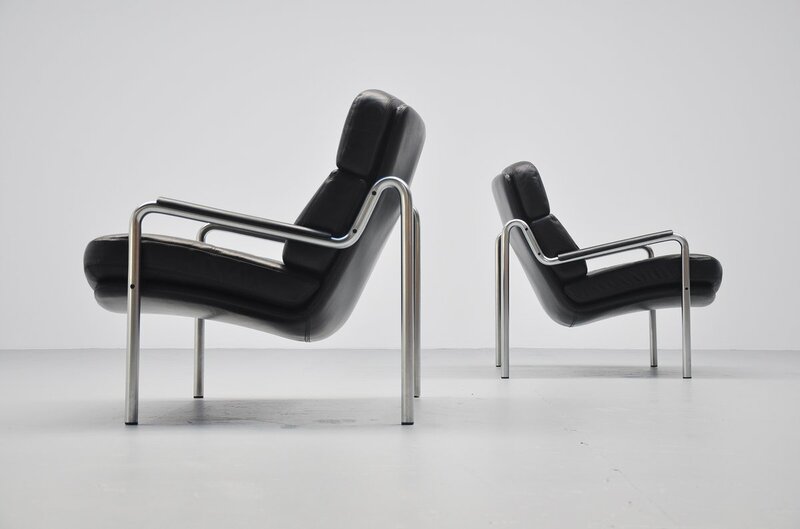 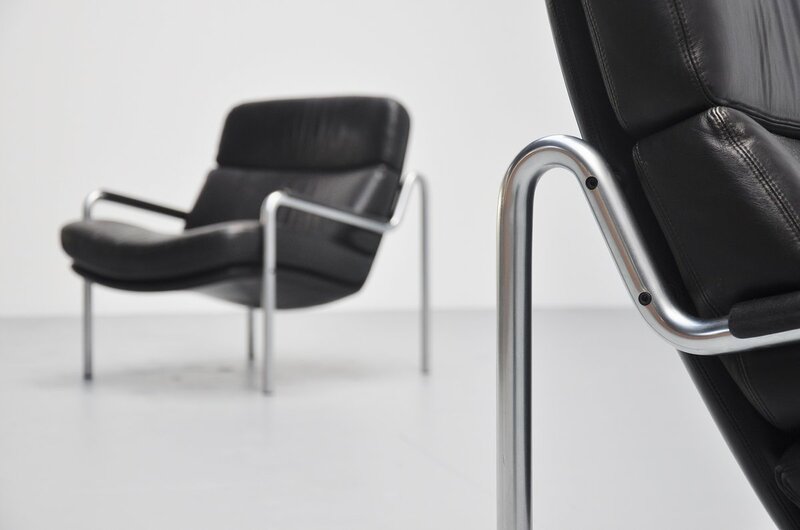 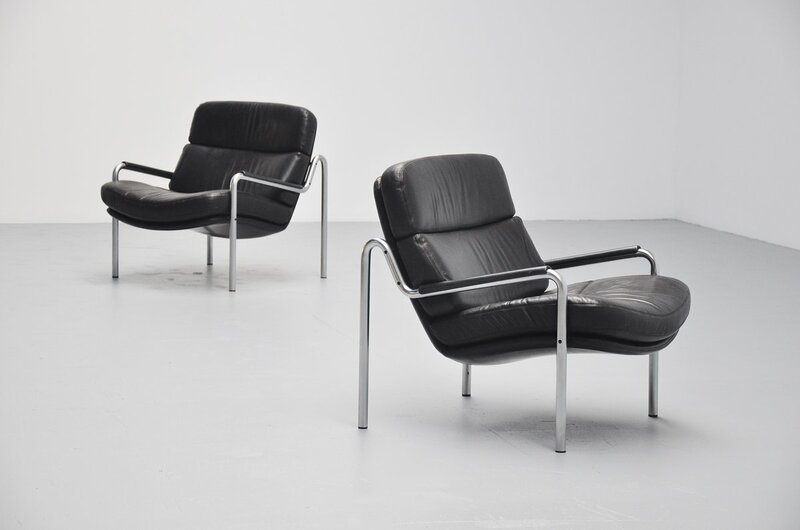 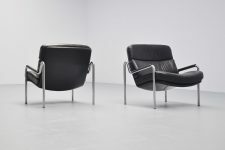 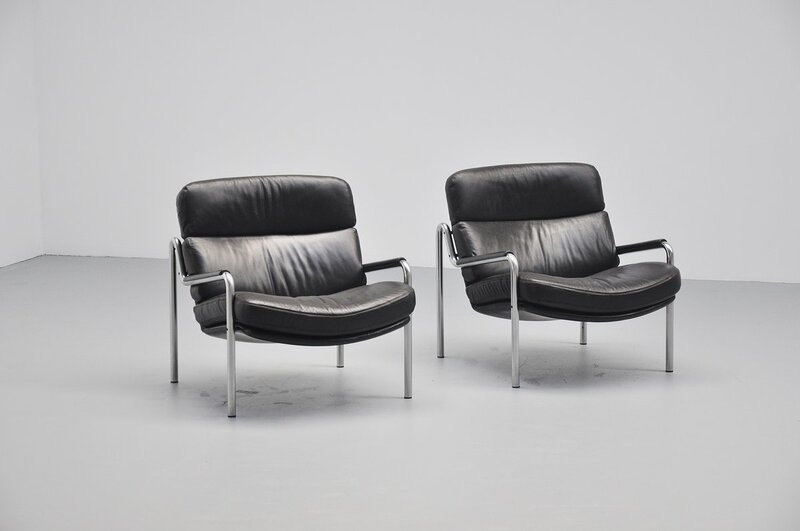 Comfortable pair of lounge chairs designed by Jorgen Kastholm for Kusch & Co, Germany 1970. These chairs are made of brushed tubular steel frame and have high quality black leather seats and arm rests. 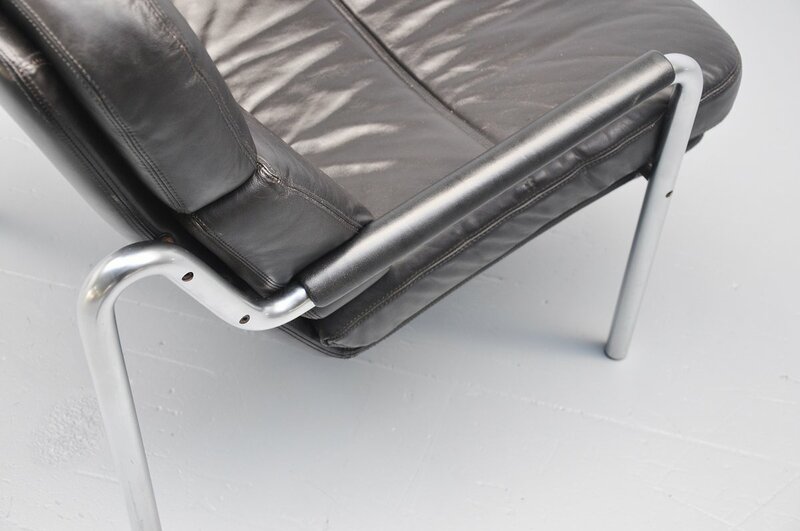 The chairs are in amazing condition with minimal patina from age and usage. 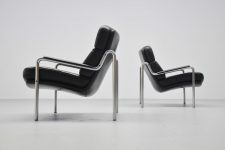 Super comfortable seating, nice large pair of lounge chairs.